A brow lift, also known as a forehead lift, can restore a more youthful appearance to the eyebrow and forehead area. This procedure is the perfect complement to facelift surgery and is often paired with the procedure. While a facelift corrects the lower portions of the face, a brow lift addresses age-related changes in the uppermost regions of the face. Combine these procedures together for whole-face rejuvenation. 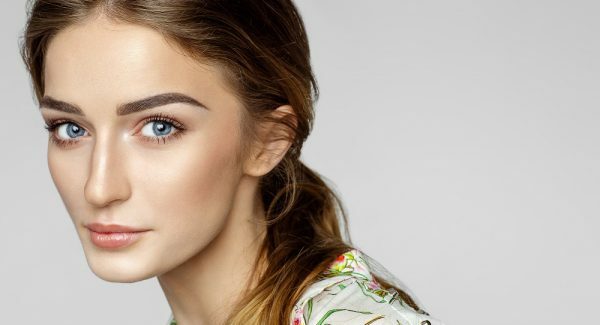 The brow is one of the most dynamic areas on the face. When you laugh, smile, frown, and make other expressions, the muscles in the brows and forehead move. These muscle contractions can cause creases to develop in the skin, especially around the eyes, between the brows, and on the forehead. Botox® helps to smooth many of these wrinkles by gently relaxing specific facial muscles, but over time patients may require a surgical solution to achieve their desired appearance. A brow lift treats wrinkling and creases on the upper face and raises sagging brows. Dr. Singleton loves working with patients to create their ideal look. Surgery to restore the brow to a more aesthetically appealing position is one of the most common procedures Dr. Singleton performs in his Chevy Chase facial plastic surgery practice. Call us to learn more about this procedure or to explore the many other facial treatments we offer. Explore the brow lift procedure and learn more about your options for facial rejuvenation with a consultation at our office in Chevy Chase. We invite you to visit our elegant and private office where you will meet with our surgeon Dr. Adam Singleton, receive treatment recommendations and advice, and get answers to your questions about the brow and forehead lift procedure. A consultation provides one-on-one advice, personalized to each patient. During your consultation, we’ll help you determine if you’re a good candidate for the procedure. Patients with minor aging in the brow area may be better suited for non-surgical Botox®. Many patients who desire surgical correction of their brow would benefit from simultaneous eyelid surgery (blepharoplasty). At the end of your consultation you’ll have the opportunity to schedule your brow lift procedure if you’re ready. Don’t worry, we never pressure patients into choosing surgery. We want you to choose the best option for you, forehead lift or not. If you choose to schedule a brow lift, we’ll schedule any needed pre-operative checks and set a time for your procedure. On the day of surgery, you’ll arrive at the surgical center in the morning. We perform all surgical treatments at an offsite facility, equipped with all the necessary surgical and safety equipment. You’ll need someone to bring you to surgery and take you home after as you won’t be able to drive. The day of surgery is busy and filled with important last-minute checks. You’ll meet your surgical team and check in with Dr. Singleton one last time to review goals for the procedure. If we need surgical marking during the procedure, we’ll make them before you head into the operating room. A brow lift is often performed using local anesthesia and an IV sedative. Some patients may require general anesthesia, especially if the brow lift is being done at the same time as other facial plastic surgery procedures. We’ll make sure you’re comfortable before surgery begins. Dr. Singleton is trained in various techniques for brow lifting procedures. Endoscopic surgery, which uses very small incisions and tiny surgical devices to perform the surgery is one of the most common methods Dr. Singleton uses. Open surgical techniques, where larger incisions are placed at or behind the hairline can be used when circumstances dictate. Dr. Singleton is extensively trained in the trichophytic technique, which allows your own hair to grow through the surgical scars, making the scars essentially invisible. Incisions for a brow lift are typically placed in the hairline. Placement varies depending on anatomy, goals for surgery, and the specific surgical techniques that Dr. Singleton decides to use. Tissues and muscles are tightened to smooth out lines and wrinkles and to restore a more youthful brow positioning. When Dr. Singleton has achieved the desired results, he’ll close your incisions and bandage the area. Patients spend a short time in recovery before returning home. We’ll meet with your caregiver after the procedure to explain recovery protocols and to give a post-surgical report. You’ll be groggy and tired so we find it is best to share this information with your caregiver too. We will assess your recovery the next day when you return to meet with Dr. Singleton. A successful forehead lift recovery starts with the right preparation. Dr. Singleton will provide you with detailed recovery instructions so you can get ready for recovery before your procedure. Remember, our friendly staff members are on hand to answer any questions or address concerns throughout the recovery process. Patients report that the first couple of days are the most challenging. Pain medications help patients to rest comfortably. After the first couple days, patients start to feel better and can slowly begin to resume their regular activities. Dr. Singleton recommends walking around the block or down the street, starting the day after your procedure, for its healing benefits. Patients typically miss 1-2 weeks of work, more if they work in a strenuous job. Wait to perform heavy lifting and exercise for 3-4 weeks. A brow lift is often paired with other procedures, both surgical and non-surgical. Pairing treatments together offers the patient many benefits, including better results and a shared recovery period. Consider receiving your forehead lift with one of these enhancing, complementary treatments. Our facial plastic surgery procedures offer dramatic and long-lasting rejuvenation. These options are top picks to pair with brow lift surgery. Facelift: While a forehead lift enhances the brows and forehead area, a facelift rejuvenates the cheeks, chin, jawline, and lower face. Combining these treatments provides comprehensive facial rejuvenation. Eyelid Lift: An eyelid lift can wake up a tired facial appearance by removing bags under the eyes and tightening saggy eyelids. Non-surgical treatments help our patients to enhance and maintain their forehead lift results. Non-surgical treatments are also quick and easy, often allowing patients to return to work and other activities immediately. Botox®: Botox® is an ideal complement to the brow lift procedure because it helps to smooth wrinkles in the brow and forehead area. It works on dynamic wrinkles, the type of wrinkles created by facial expressions, and can help your surgical results to last much longer after your procedure. Dermal Fillers: Dermal fillers restore facial volume, smooth away lines and wrinkles, fill in hollows, and more. Placed in the temple regions, fillers can enhance the entire brow complex to create a more aesthetically pleasing brow. Are you ready to learn more about brow lift surgery? Call our offices to schedule your personalized consultation with our fellowship-trained plastic surgeon Dr. Adam Singleton. Our office proudly serves patients across the D.C. metropolitan area including the areas of Bethesda and Chevy Chase.